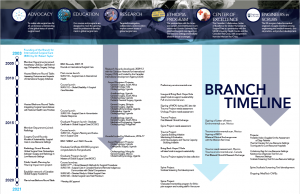 The Branch for International Surgical Care (BISC) was created to advance surgical care in international health. It came about as a desire to build on the national interest in surgical care in international health and the realization of the strength of international activity that already exists among “surgical” members of the UBC faculty. We believe the best way to make sustainable improvements in the delivery of surgical care in the world’s most disadvantaged countries is to build capacity within the field of surgery on the provision of care in low-resource settings. To achieve this, the BISC launched an innovative educational program in 2009. Our program is designed for graduate students, postgraduate trainees, surgical faculty, or surgery-related health care workers across the globe. The fully online course format enables individuals from all around the world and at all stages of their surgical care careers to expand their knowledge of surgical care in low-resource regions.